Ok people, this is really, really exciting news. 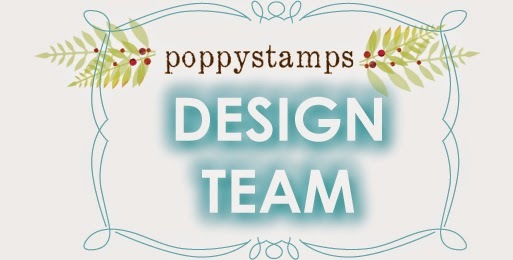 Today I checked the Poppystamps blog and saw that Poppystamps is wanting to add to the Design Team Family......If you are at all interested, don't drag your feet. I know there will be many people wanting to be choosen and there isn't much time to get your email off to Poppystamps. Here's the thing, this is the GREATEST company to design for. The team is filled with friendly people who love paper crafting. If you want to email me with questions, please do, although the most important thing I can tell you is get your email off to them and then start pulling together your best works. Poppystamps is looking to add some creative paper crafters to our Design Team! Design team members will use poppystamps craft dies, stamps and digital dies to create projects on the poppystamps blog. Applicants must have experience with blogging and be able to provide digital photos for their blog projects, be handy with craft dies and/or digital dies and ready to share some inspiring projects with the world! Experience with facebook, twitter, pinterest or instagram is a bonus. To apply, please email designteam@poppystamps.com (subject line Design Team) - introduce yourself and attach a picture that showcases your style as a papercrafter and your ability to take a nice photo! We will contact potential Design Team members by August 15. Thanks so much and we can't wait to see what you make!